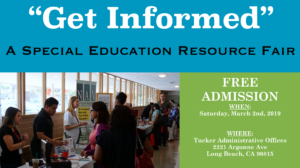 Exciting educational information is here…through classes and vendors! Classes designed to assist parents/guardians to advocate for their special needs loved ones. Vendors will provide additional information on products and services available in the community. Go online today at www.WarriorHearted.org to register and sign up for classes. Website maintenance provided by Verity Consulting.